From rainbow spaghetti to puffy pink couches, the Unicorn Café is every 90s Lisa Frank-loving baby’s dream come true. If you are looking for a cafe that is a walk-in fairytale, then you need to stop by the Unicorn Café. 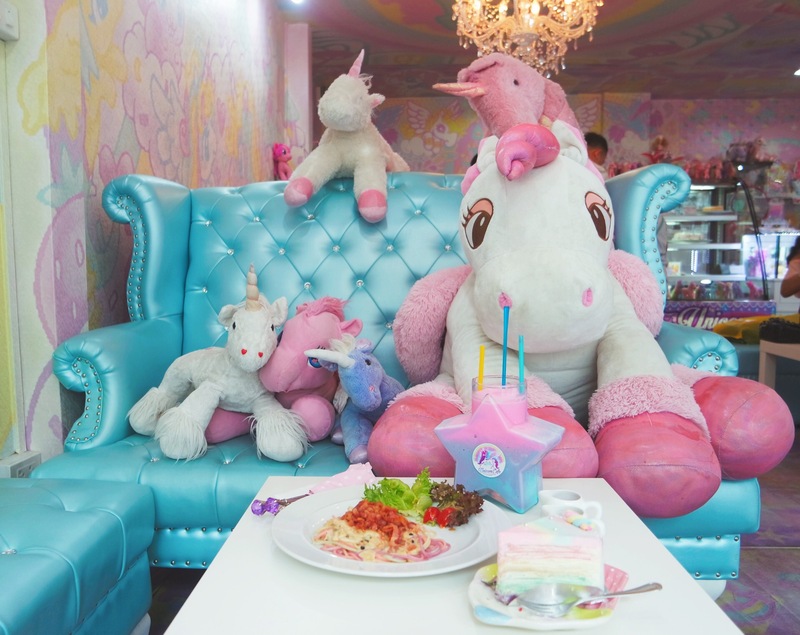 In fact, this colorful and marvelous cafe has everything a unicorn lover could ever imagine. 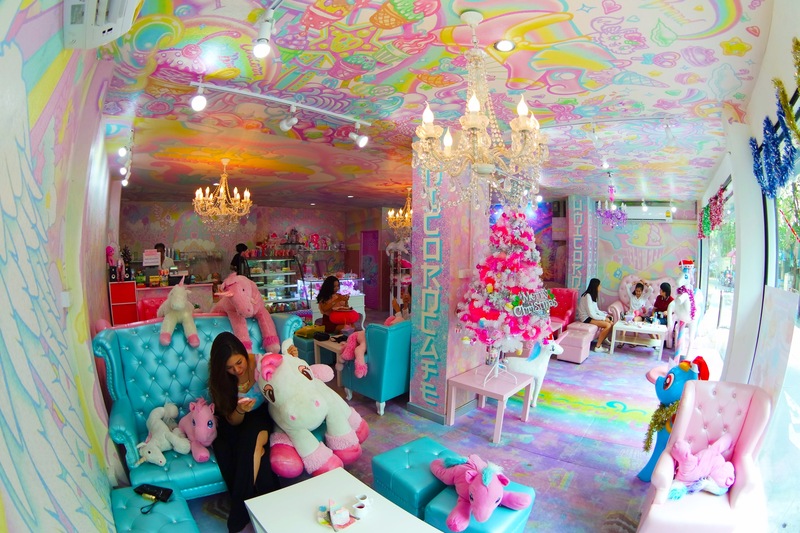 From rainbow spaghetti to puffy pink couches, the Unicorn Café is every 90s Lisa Frank-loving baby’s dream come true. Not to mention, it’s totally legit. If you think you’ve been to some remarkable places, think again. The Unicorn Café is officially the best place on earth, and it’s real. Although you can confuse this place with something you’ve seen in your dreams, this Café exists in the Bang Rak district of Bangkok, Thailand. Not only is it filled with rainbows and unicorns, but there’s also a whole lot of pink. During the 90s, Lisa Frank stole our hearts and our money. However, some of us never outgrew our love for unicorns and other mystical creatures. And we don’t have to, thanks to the Unicorn Café. In fact, about every inch of the place has pastel colors and unicorns. You simply cannot escape the cuteness. There are magic murals among the walls and sparkly chandeliers on every ceiling. Everywhere you look is a puffy pink couch and snuggly stuffed animals. However, you aren’t living out the experience unless you rock a unicorn onesie. Aside from the entire place being a walk-in fairytale, even the food is magical. Did you know that rainbow spaghetti exists? As a matter of fact, it does, and it’s the cutest thing you’ll ever see. If you’re a meat-lover, then don’t worry, there’s something for you too. With the unicorn-inspired burger, which actually comes with an adorable little unicorn horn, you’ll feed your hunger and your imagination. In addition to the barbeque-dripping burger, there are rainbow cakes and cotton candy slushies. Not to mention, they come with sprinkles on top, making them extra special. If you’re stopping in for breakfast, you can get your hands on some heart-shaped waffles. And to compliment the waffles, there are Milky Way frappes that come in a large star glass. Of course, everyone loves sundaes. However, sundaes at the Unicorn Café aren’t even close to typical. These sundaes, in particular, come with their very own sugar cone horn. After all, what would a sundae be at the Unicorn Café without a horn? All in all, the Unicorn Café is a magical place that we all want to visit. The only thing it’s missing, however, is cannabis. Can you imagine lighting up in such a place? Aside from laying back on one of those comfy, colorful couches, you would be surrounded by nothing but good vibes. In fact, how could anyone not be happy in such a place? From tasty treats for when the munchies strike to the adorable and snuggly stuffed unicorns, the Unicorn Café is everyone’s dream come true. Moreover, it’s a place to hide from adulthood and let your inner child out to play.